You’ve probably heard that consistently posting on social media is one of the best ways you can grow a following. Well, yeah. That’s great, but dang it’s hard to keep up sometimes! Taking good photos, putting out quality content, making sure you’re posting at the right time, trying to interact with people. All while, you know…actually running your business and raising your family. Dude. Yeah. I get it. We need some tricks to help us work smarter, not harder. 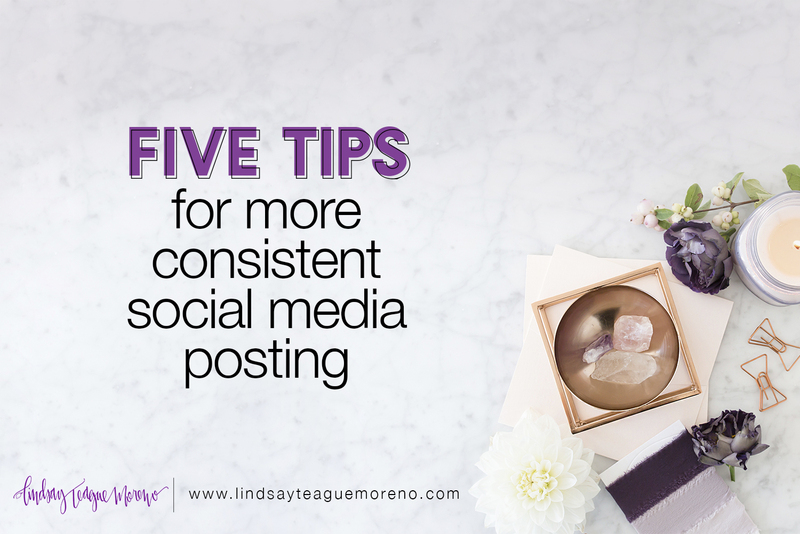 Here are 5 things you can do to be more consistent on social media and save yourself some time. Personally I would use that extra time you save to drink wine, but that’s up to you. Schedule some time to batch write posts. Do this once or twice a week and you won’t have to think about it as often. Get yourself some ideas and write out post captions. Remember, it doesn’t have to be long for social media. Work more on making it impactful and giving value to your audience. Schedule some time to take photos in batches. Same idea as above. Once or twice a week take some photos to go along with your posts. Edit photos you’ve already taken too, and have them ready to go. This will save you a lot of anxiety when it comes to putting your post together! Keep a list of ideas for posts as they come to you. As I get ideas for things I want to post about, I type them into a list I keep on the Notes app on my phone. You can do paper too, if that works better for you. Just pick one method and be consistent about it. Borrow photos from other accounts that you like. BUT make sure you credit them! I love this one because it’s fast. As long as you’re crediting the original poster, you’re good to go. Bonus: people love the interaction of having their photos shared and getting more exposure! Use a scheduling app on your phone to organize your posts and get reminders. I resisted these apps for a long time until I realized they were actually going to save me a lot of time. Depending on which one you get, you can upload your photos as you take them, add your caption and hashtags, and choose the time you want to post. They won’t post automatically for you, but you’ll get a reminder on your phone and that is gold! 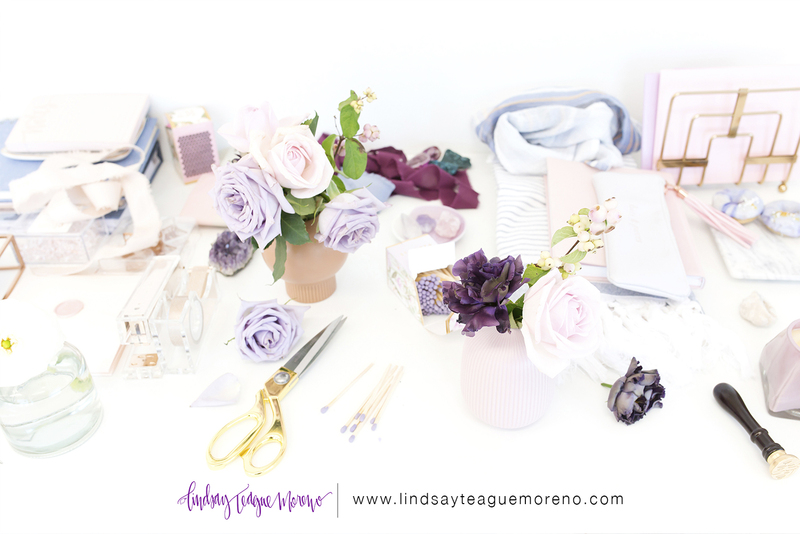 If you sign up for my newsletter right now, you’re going to get 30 days worth of social media ideas to get you started! Plus other tips and tricks to help your business grow. Hopefully these tips help save you some time while making your social media feed more consistent. And allowing you to drink more wine. Cheers! I like your idea of using the time I save – to drink wine 🙂 Thank you for helping & guiding all of us!!! Love these! Whats your favourite app for organizing/planning posts? Seems like there are so many different options, that I don’t even know where to start! I am great at posting my business content on my food blog, it is my personal account that i need this list for! I signed up for your list and now I can’t find the email with the social media share ideas! Sorry of my life! Sooo….what you’re saying is that it’s not a good idea to post on social media while actually DRINKING the wine. mmmm’kay! Walking away from that glass of wine now. eeeep!